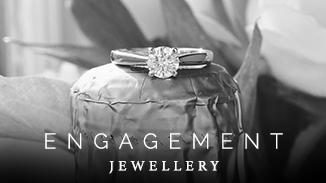 From creating custom made engagement rings to bespoke wedding rings and remodelling existing family heirlooms and pre-loved pieces, each piece proudly exhibits personal design and unique individual touches. 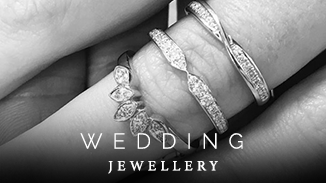 We use only ethically sourced gemstones and fully traceable precious metals to create bold, distinctive and highly personal jewellery that is inspired by you, for your loved one – whatever your budget. We want the time you spend with us during your bespoke design journey to be happy, relaxed and memorable. With Hannah Kimber Jewellery, you’re in safe hands. Book your complimentary consultation with Hannah, or read on to find out more about your bespoke jewellery design journey. Visit our Cheltenham studio or chat via Whatsapp, Messenger, Instagram, email or Skype – whatever is easiest for you. Hannah will discuss gemstone types and shapes with you and get an overall feel for your inspiration and what you are looking for. It’s helpful for you to come with an idea about what you want, no matter how vague. Have a look at our portfolio if you’re stuck for inspiration. Once the designs have been drawn up, we’ll arrange another appointment where you personally select your beautiful gemstone and discuss the initial designs to determine any changes or alterations. If you can’t get to us then we’ll email or video the designs and send them to you before calling to make your final choice. Easy – and above all, completely stress free. 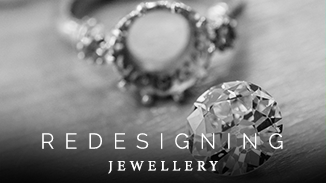 Once you’re happy with the design, we’ll ask for a 30% deposit to begin creating your personally designed piece. It will then be hand-crafted at our Jewellery Quarter workshop under the watchful eye of our expert jewellers who have a combined experience of more than 80 years. Depending on your design, the piece will either be 3D printed from the visuals or handmade from scratch at the workbench; the process used very much depends on the complexity of the design. Your personally designed piece will then be cast into your chosen precious metal, sent for hallmarking – and then last but not least the gemstones will be set. Once all of the parts are assembled and the final polishing process is carried out, your design is complete! We believe that collecting your designed piece should be as much of a special experience as the design process itself. The final unique piece of jewellery will be beautifully packaged and lovingly wrapped – and we’ll even give you visuals of the design process for you to look back on in years to come. We encourage you to come back at least once a year for a complimentary check and clean of your bespoke piece – and it’s always nice for us to see past commissions with their new loving owners, too!